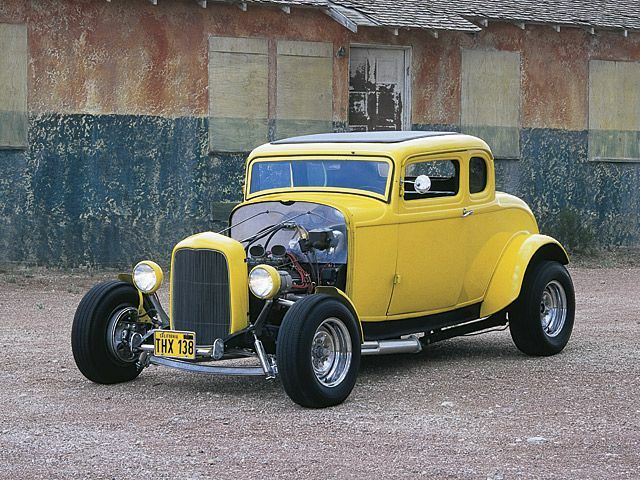 the most famous 1932 Ford in the world. Project 32 was not designed to be a clone but more a representation of that same early 1960's era and style. An early 1960's style Deuce 3 window coupe, completely built in my home garage. The only work that was not done by me was the actual machine work on the engine block and heads and the upholstery of the seat. Also my lovely wife took time off her busy schedule to sew the trunk and door panels to my design. I know not everyone has the time, or willingness to do this much work on a project, but for me it was an adventure and I hope the build details (available below) will in some small way help or inspire others with their projects. Thanks to all who have visited this site and viewed the build. I hope you'll continue to come back and watch my next project, a 1964 Dodge Polara.